This past weekend Chicago hosted its annual C2E2 convention and it was full of Harry Potter goodness! In attendance at this year’s convention were Evanna Lynch (Luna Lovegood) and Jason Isaacs (Lucius Malfoy). Both had wonderful panels and had lots of great stories to share! On Saturday, Evanna filled her show room with tons of Luna Lovegood fans who had great questions for her. One fan asked how she felt Luna’s character would have contributed to Harry Potter if she had been in the series prior to Order of the Phoenix. Evanna felt like Luna would have been a wallflower character who spent a lot of her time isolated from others and a bit down on herself. I had the opportunity to ask a question on how she initially got into the Harry Potter series. Surprisingly, Evanna didn’t want to read the series at first! Her mom brought a copy of the first book home to her and she wondered why her mom thought she would want to read a story about a “boy wearing glasses.” She then overheard her mother reading it to her younger brother, took the copy for herself, and fell in love with the series! And so the fan girl Evanna began. Jason Isaacs also has interesting stories to share at his panel on Sunday. A fan asked him what his favorite day on set was and he told the crowd his story about how he came into the costume department and was thoroughly upset with Lucius’ costume- a dark business suit. Jason wanted to be a full-blown wizard! He suggested that the costume department instead make ornate robes and maybe give him long blonde hair, and as we all know that is exactly what they did! Jason also told the story of his first day of shooting when he filmed Lucius’ final scene in the Chamber of Secrets when Lucius, Harry, and Dumbledore are in Dumbledore’s office. Apparently the part where Lucius walks out of the door was totally improvised! Jason said he felt that Lucius was too proud of a man to leave without having the last word and when he brought the concern up to the director, he was told to go ahead and say what he felt Lucius would say. Upon exiting Dumbledore’s office Jason said “Let us hope that Mr. Potter will always be around to save the day” to which an unsuspecting Daniel Radcliffe responded “Don’t worry, I will be.” What great acting! The panels were not the only great thing about C2E2 for Harry Potter fans this weekend! There were quite a few Potterheads running around as our favorite characters. From Voldemort to Hagrid, from Luna Lovegood to Newt Scamander- there were plenty of amazing Harry Potter costumes to geek over! Check out the photos below. Wanting to know where your favorite Harry Potter star will be next? 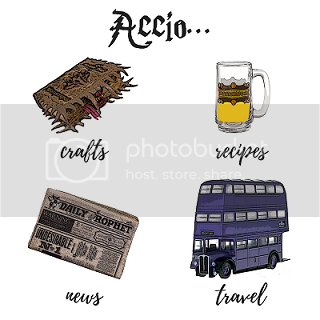 Be sure to check out my Harry Potter events masterlist and subscribe for the updates! One should be coming soon.